This project was to develop a game which players create series of numbers from continuous flow of numbers and win points. The game is played by two players. One of them is controlled by computer. 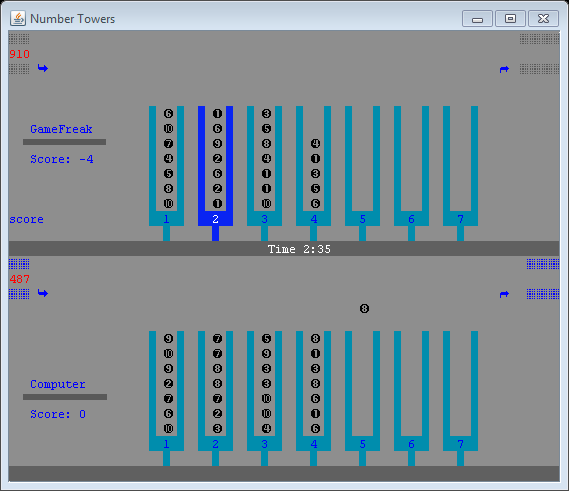 Each player has 1 input pipe, 1 output pipe and 7 number towers. The aim of the game is winning the most of the points by sending series to the output. These series are obtained from continuous flow of the random numbers coming from the input pipe, and players arrange them by the help of the number towers.